Ethiopian Airlines, the fastest-growing and the largest African airline has announced through the eTN News Network that it has finalized preparations to launch flights to Moroni, Comoros, with the latest B737-800 New Generation with Sky Interior, as of October 30, 2016. 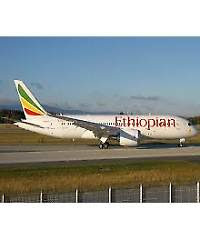 A representative of the indian Ocean Vanilla islands has said that the organization welcomes this move by Ethiopian Airlines. The Vanilla islands is now being recognized as the new tourism region and this is good for all the six islands Comoros, Madagascar, Mauritius, Mayotte, Reunion and Seychelles.